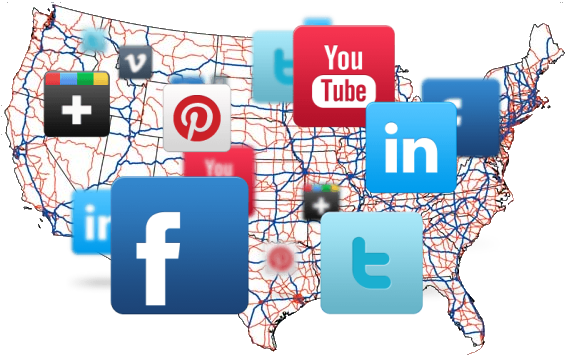 Via the internet, Truckstop Solutions can leverage your online presence appeal to customers just as if you are the large cap corporation competing in your industry. Creating a web presence for you begins with your business niche in mind. Taking your idea to a higher level to conquer and control this niche market should be the goal of your website. A powerful web presence, including your website and social media, creates the global exposure needed for today’s truck stop market. Truckstop Solutions knows that your success hinges on meeting these challenges. Generating more traffic is the name of the game. Our optimized and easily navigated web sites will be enhanced by unique and interesting graphic design. An effective web presence brings you closer to your customers as they learn about your company. Blogs on the other hand let the customer see inside your business as they get the feel of your company’s personality. As you generate interest from prospective consumers, testimonials and sharing on the blog will give the information that customers need to feel personally involved with your company. Truckstop Solutions will be with you all the way as we explore the best exposure for your company. 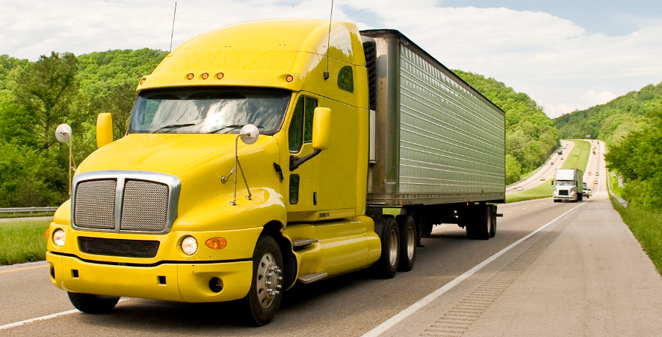 OTR Truck Drivers are constantly searching for services. Mobile search (internet enabled smartphones) is the largest growing segment of the internet and your customers have lead the way. Users want accurate and valuable information in an instant. Trustop Solutions works with you to develop and optimize your website for maximum mobile operations and flexibility that will deliver your website to the users searching for the content found on your site. Delivering a user friendly mobile experience is critical in today's market. As the online marketing world evolves, wise entrepreneurs turn to the power of the internet to find affordable and effective means to promote their businesses and get their messages to customers. New technology replaced the traditional and conservative ways of the past. Truckstop Solutions 30 years of experience has evolved with the market. In this amazingly changing business world, Truckstop Solutions will give business owners the shortcut as to what is actually most important to achieve credibility and exposure for their company. A time to change and implement online marketing technology is more important than ever. Let TruckStop Solutions join you in bringing costs down as we create higher recognition for your company. Our commitment is to personalize and streamline your position as we enter into the greatest business opportunities imaginable. Websites just sit out in cyberspace like a brochure in a forest. They need to be viewed. By targeting users searching for your service with SEO your website will do its job of connecting with a customer. Organic SEO is the website design practice and process of optimizing your website to appear on the first page of Google for relevant searchers. We employ a methodology and process that makes your website functional and effective, by developing code to enhance your position in search engine's organic rankings. There are many aspects of a website that need to be optimized for proper SEO functionality. Social Media plays an important role in Brand Recognition and Discovery through it's universal sharing. Those fan numbers, likes, shares, tweets, and +1's all matter in today's modern web world. The philosophy is that if the searcher's friend network is interested in it, it's relevant to the searcher. 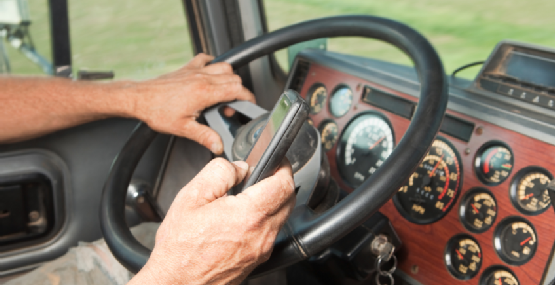 OTR Truck Drivers have a great online social community. Facebook, Twitter, LinkedIn, Google+ (interlinked to Google Maps), Pinterest, and Instagram represent core platforms. It is also very effective to participate in online forums and groups offering industry expertise. In a price driven economy, where do you get good advice on what is sensible and affordable in the marketing arena? In this amazingly changing business world Truckstop Solutions will guide you in making the best decisions for marketing, e-marketing, loans, insurance discounts, and all other business integrated decisions. Our credit card processing merchant service agents promise to provide the lowest prices available in the industry. That alone is a huge savings to our clients. Insurance for all your needs part of our financial services. We provide merchant cash advances as an alternative to bank loans. All under one roof… our strategic partners are ready to assist you in creating a solution to integrating all your business needs. Representing the truck industry for over 30 years, our marketing solutions have already proven successful in an old economy. Today we bring this representation to a much higher level with incredible online marketing solutions. Truckstop Solutions and good business choices go hand in hand. Sensible solutions for today’s economy make our innovative thinking practical, affordable, and ready to take action. A Free Truck Stop Marketing Consultaion from Truckstop Solutions is waiting your phone call. Call today 732-894-9444. To give us a head start by researching your online presence, submit the following form and an online marketing representative will contact you within 24 hours to discuss your web presence and it's possibilities in more detail. PO Box 302 - Wickatunk, NJ 07765 • info@truckstopsolutions.net • Call 732.894.9444 Today!